Company Motto: A floofin is a furry family member. What is your most popular service type (dog walks, overnights, etc.)? How many total visits do you usually have per day? How did you get started in the pet care business? 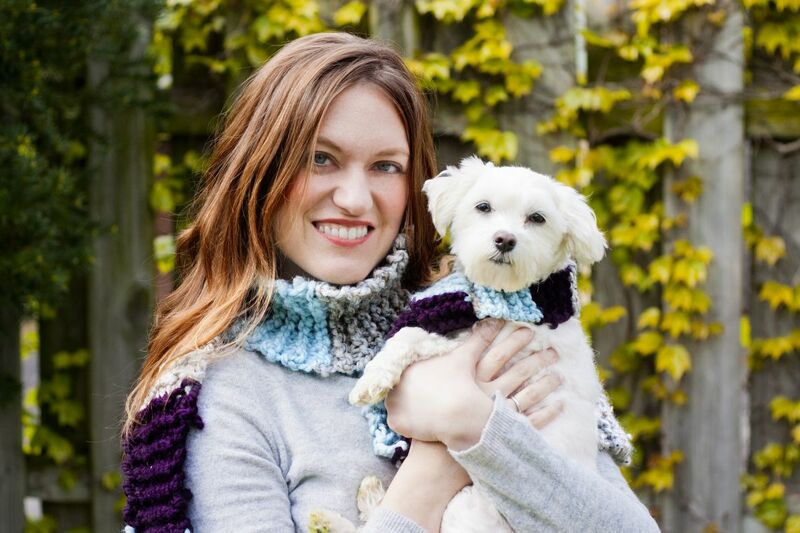 "After having issues finding exceptional in-home pet care for my own floofins, Portia and Priscilla, I left the corporate world with a mission to create “A Kenneling Alternative” for fellow pet parents. I spent 8+ years in the architectural, engineering and construction industry as a professional services marketer while pursuing my MBA at Northern Illinois University in the evenings. After graduating, I found that spending new found spare time at PAWS Chicago working with homeless animals was a rewarding use of my time. After moving to Elmhurst, IL, I saw a real need for a professionally run in-home pet care alternative. As both a passionate animal lover and savvy businesswoman, the creation Floofins & Company was the perfect combination of work and play. I constantly strive to keep up with the latest and greatest practices in the pet care industry and connects with clients to meet their pet's unique needs." What is the climate like where you are and how does that affect your business? We are in Chicago. Anything can happen. What is the funniest thing that has happened while pet sitting? I was in the office one day reviewing pet care journals and I popped open a journal with a photo of a squirrel hanging from a patio screen door taunting the two scottie pups on the other side of the door that our sitter was visiting. I pretty much spit my coffee out on my desk when I opened it. What advice would you give a new pet care business owner? Network! Before I opened Floofins & Co. I took the time to attend the National Association of Professional Pet Sitters conference and was able to meet many active pet sitting company owners. I feel like I missed out on so many stumbling blocks by just listening and learning about what worked and what didn't work for different owners. How does Precise Petcare complement the way you run your business? Precise Petcare has been the only software that we have found that truly shares our vision of combining technology with professional pet care. The Precise user interface and intuitive design have allowed our sitters, and clients to be up and running quickly, and with minimal support. This allows more efficient use of our time. Precise helps pet sitting services to succeed. Precise Petcare has been a breath of fresh air!! Love the look and feel, it's really easy to use once you get the hang of it, plus it has all the functions we need and more, to make scheduling, correspondence and payments, easy breezy! PPC is adding new features all the time and have since added a monthly Webinar session (+Q&A) to guide us every step of the way :) Oh!... PPC also recently added a new Private FB Support Group too- a place we can go to for help, any time of the day!.. I've learnt something new every day!! Thanks Precise Petcare for all our support. Before selecting PPC, I evaluated 5 other pet scheduling systems over a 6 month period. PPC offered the best balance of capabilities and customization as well as helpful Customer Service.